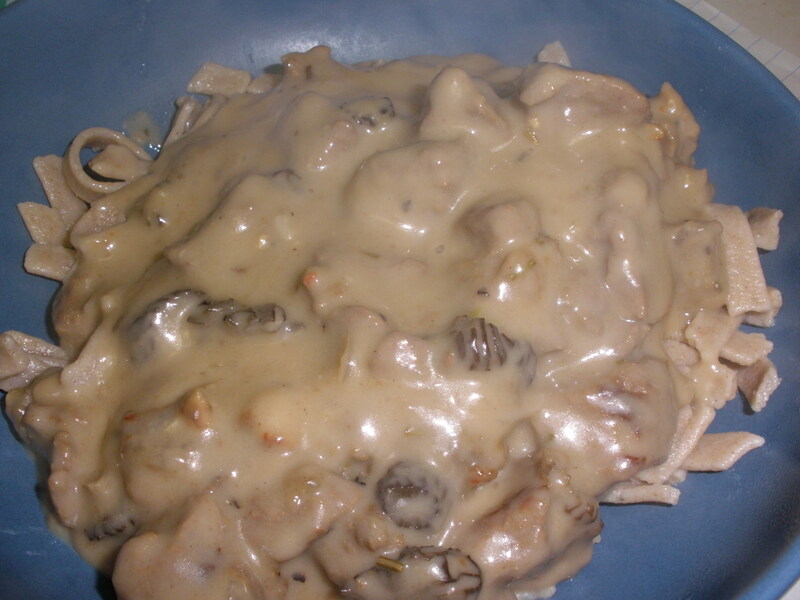 Stroganoff is a classic dish. I don’t think I have ever followed a recipe for it the way I was supposed to. Some things require recipes. Baking for example is science. You can’t mess with chemistry and have it work out the same every time. Sauces are different. You can play with the seasonings, adjust the thickener or the cook time and it’s all good. So, as usual my “recipe” is more of a set of guidelines to follow. 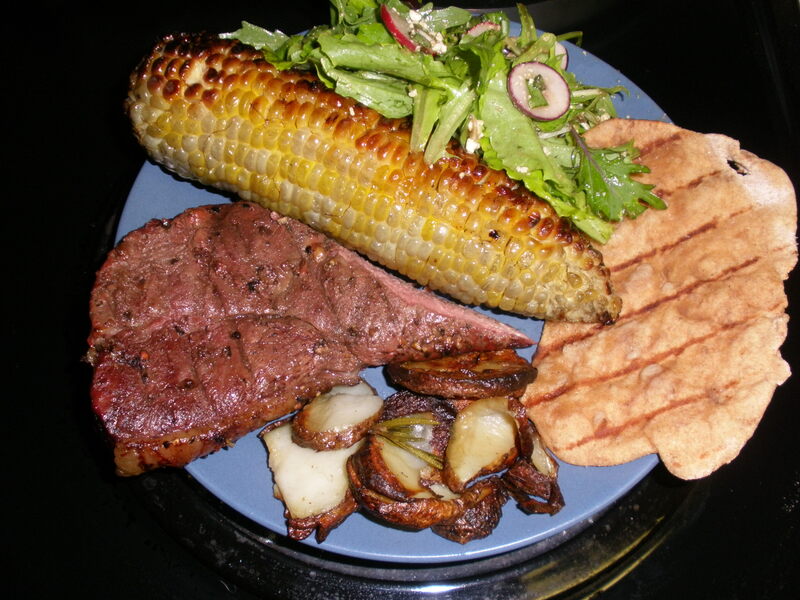 Cube a buffalo sirloin steak (8-10 oz.) and place the chunks in a non-reactive dish. Cover the steak chunks with plain yogurt (about a cup and a half, but enough to cover all the pieces) Allow the meat to tenderize for 4-6 hours. Heat a cup of stock (I used homemade chicken, but beef would probably be better.) 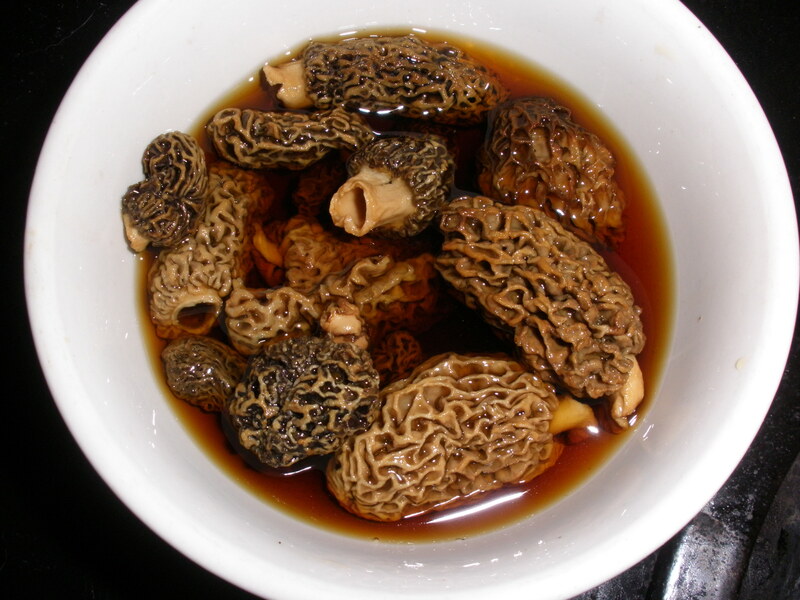 Add 8-10 dried morel mushrooms to the stock and allow to soak while meat tenderizes. Sautee a small, diced onion and 2-3 cloves of minced garlic in hot oil. Add sirloin to skillet (reserve yogurt) and sautee until browned. Add salt and pepper to taste and about a teaspoon of minced fresh rosemary. Roughly chop morels and add them to the pan (reserve stock). 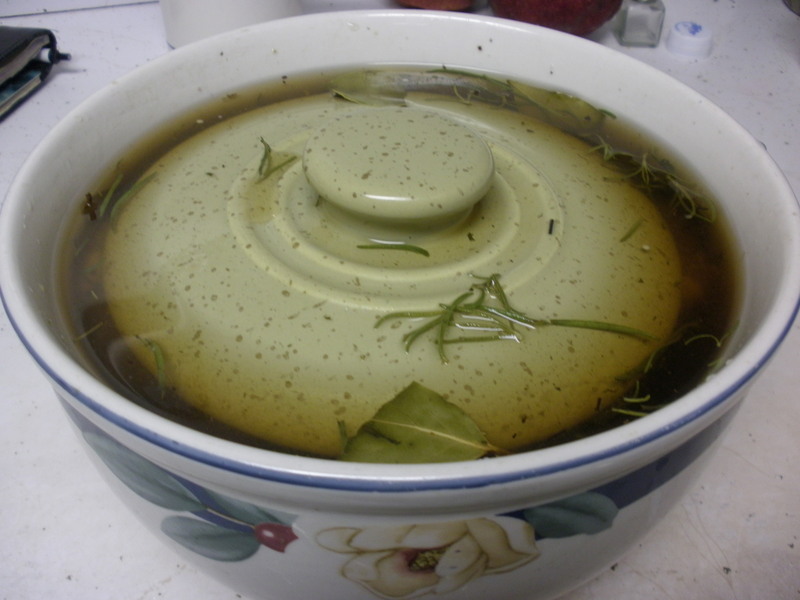 Turn heat to high and add stock reserved from mushrooms stirring continuously to avoid clumping. Reduce heat and add reserved yogurt. Add a cup of heavy cream and simmer until thickened. Add another half cup or so of yogurt to tang up the sauce. 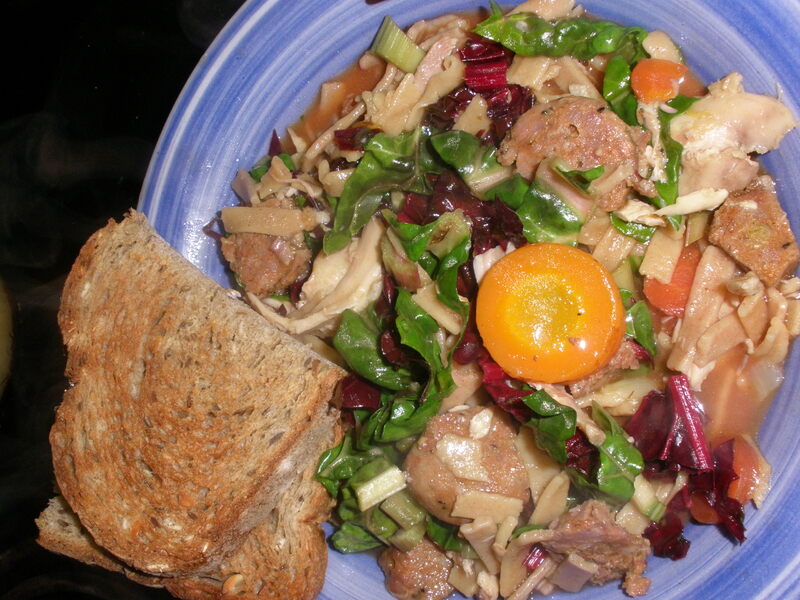 Serve over hot egg noodles or homemade pasta. I served ours on homemade rosemary garlic pasta. Adam loves pumpkin pie. I myself prefer apple, but I am a good wife so I baked pumpkin. I wanted this recipe to be Dark Days friendly, so even though I have canned pumpkin and canned sweetened condensed milk, I used pumpkin from the freezer and local cream instead. Combine flour, salt and butter in mixer. Blend ’til crumbly. Add chilled vodka* 1 T. at a time until mixture comes together in a ball. Roll crust out on floured counter and place in pie plate. 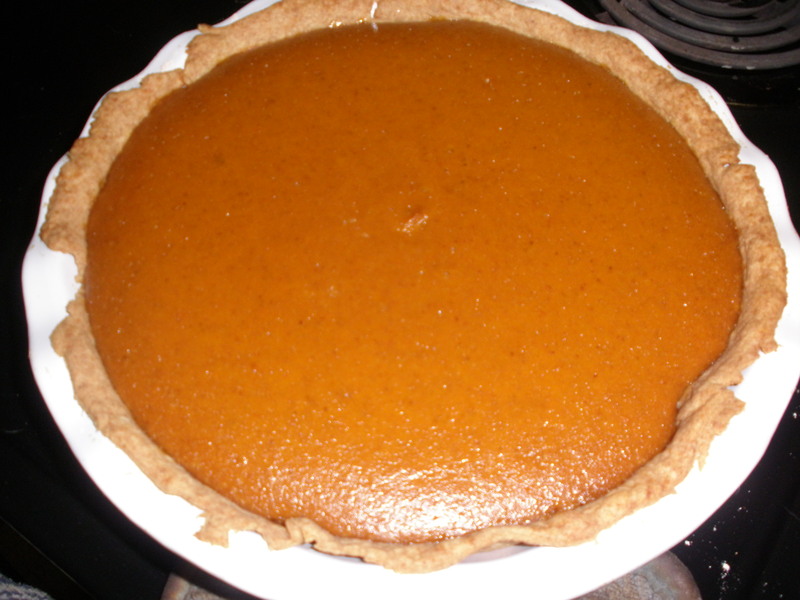 Let pie rest for at least 2 hours before serving. The pie baked up really nicely. It stayed light and wasn’t too shallow for my deep pie pan. The slices kept their shape and everyone seems to like it. Bubba commented that it was too sweet so I think I will reduce the sugar next time but it is really delicious. And no, you can’t taste the vodka in the crust. * I used Stolichnaya Vodka. No, it isn’t local. Yes, we have a local distillery. Someday I will try our local vodka, but I am loyal to Stoli. I know we’ve eaten more local meals than this, but I’ve somehow managed to avoid documenting them. I guess I’ve been too busy working on my list. This dinner is basically chicken noodle soup. Homemade stock with chicken from Olds Farm; homemade noodles; carrots from 9 Bean Rows; onions from my garden and thyme dug from the snow. However, I added two links of homemade andouille sausage and as I was serving the soup I added chopped rainbow chard to this (my) bowl. This is for two reasons. 1. Nobody but me will eat chard. 2. I have been working hard to finish #61 on my list; extra greens are helpful. The soup was served with whole grain bread from Bay Bread Co. I love soup in the winter. Based on the weather today, we have plentyof soup days ahead of us. This year the posting guidlines for Dark Days are a little different. Last year I had to make and post about a dinner each week throughout the challenge. This year, to make it a little easier on the hostess (and her volunteer summarizers), the posts are only summarized twice a month. So, even though I have been cooking a meal each week, I haven’t been good about posting weekly. This post, like my lst Dark Days post, contains multiple dinners. 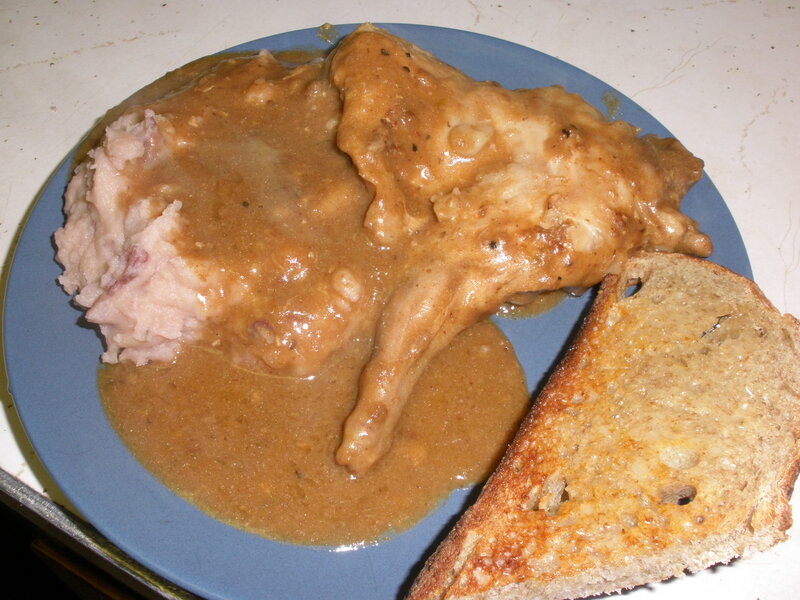 First up, braised rabbit from Bunny Hop Ranch with pink mashed potatoes, rabbit gravy and 9 Bean Rows bread. I usually get my rabbit from Olds Farm, but I was at Oleson’s, a local gocer, and found this local rabbit in their meat case. Hopefully soon we’ll have our own rabbit meat; our buck is just old enough to start breeding. The preparation was simple. I seasoned the meat with salt, pepper and garlic, seared it on each side in a cast iron skillet, added a little water and threw it in the oven until it was finished. Add the remaining liquid in the pan to some roux (equal parts flour and butter cooked together until they are golden) and cook over medium heat, stirring constantly until a gravy forms. The potatoes really are pink! I don’t know what variety they are, but they came from Nic Welty at 9 Bean Rows. Wash them, cut them into chunks and throw them into a pot of boiling salted water. 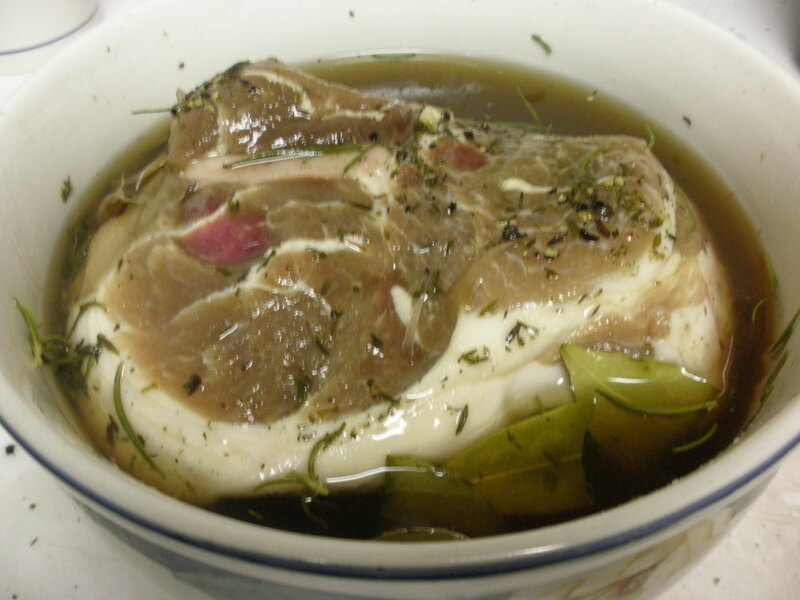 Cook until tender, drain and mash skins and all with some Shetler’s Dairy milk and butter. Second on the docket, shepherd’s pie. Sautee some ground beef (I don’t remember which vendor at the market I got it from this time) with an onion from my garden. Add some salt, pepper and garlic. Meanwhile, boil a pot of Westmaas farms red-skinned potatoes. Mash the potatoes with milk and butter, season as you like. 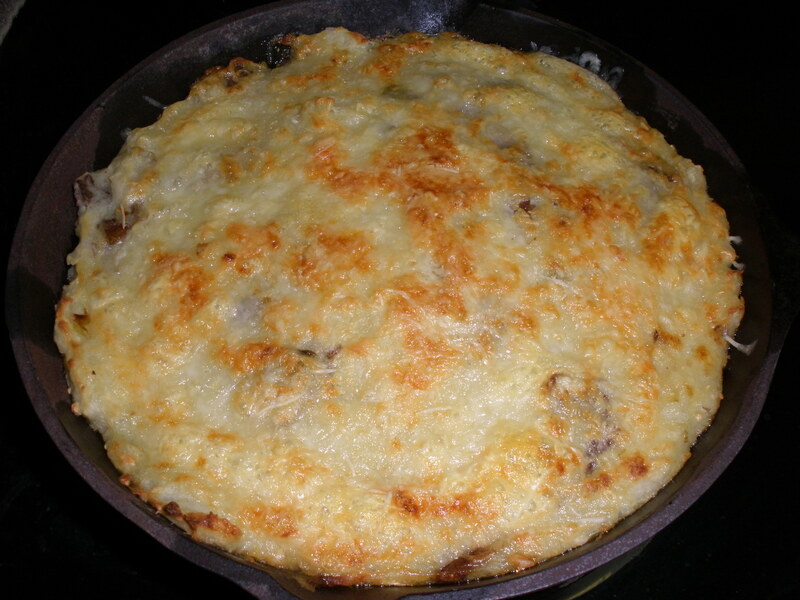 Spread the cooked ground beef in a cast-iron skillet, casserole or dutch oven. Spread a layer of mashed potatoes on top of the beef. Cover the whole pan with shredded Raclette cheese from Blackstar Farms and bake until the cheese melts. I hoped to start this Dark Days Challenge with a bang. It’s more like a whimper. Finishing report cards spent much of my “extra” time last week so I barely had time to cook let alone write about my cooking. I also had to finish my Can Jam post early because of the holidays so that was a priority last week. This week I’ve been working on another article for Edible Grand Traverse and it’s not coming along as smoothly as I’d hoped so I’ve been stuck on that all week. 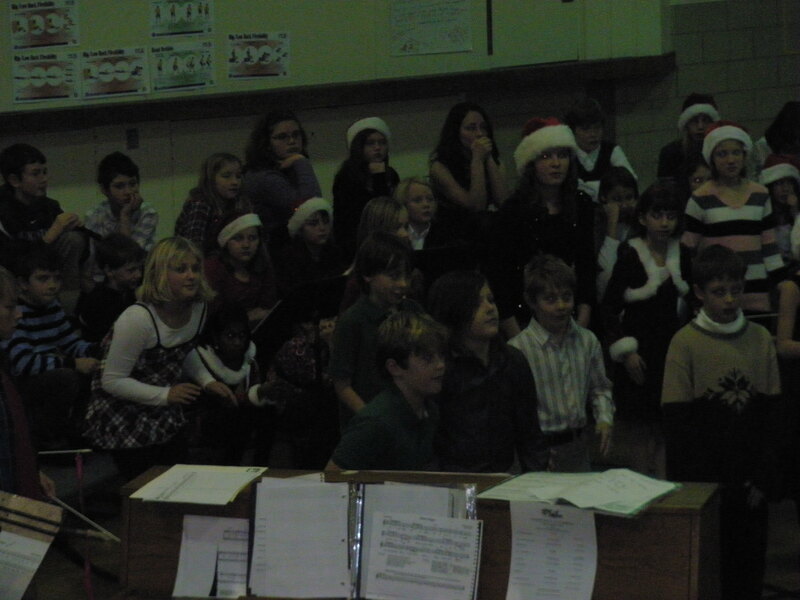 Plus, Bubba’s School program was last night. This post is due at midnight, so guess when it will be done? Probably 11:59. All three of my dinners feature dauphinoise potatoes. Sounds fancy, no? Not so fancy. Souped-up scalloped potatoes. Yummy though. Go buy a new Kitchenaid mixer because you killed your old one. Slice ten pounds of potatoes with the slicer attachment. Shred a pound of Raclette with the shredder attachment. Dump the potatoes in a large bowl and pour a quart of cream over them. Add salt until the cream is WAY TOO SALTY. Grease several baking dishes and rub them with minced garlic. Squeeze all the salty cream out of the potatoes as you layer them into the dish. Alternately add sliced potatoes, crushed garlic, thyme and cheese. Continue to layer ingredients until the pans are full. Top each pan with more cheese. Put one pan in the refrigerator. Put two more pans in the freezer. I reserved the super salty heavy cream to create both of my real dinners. 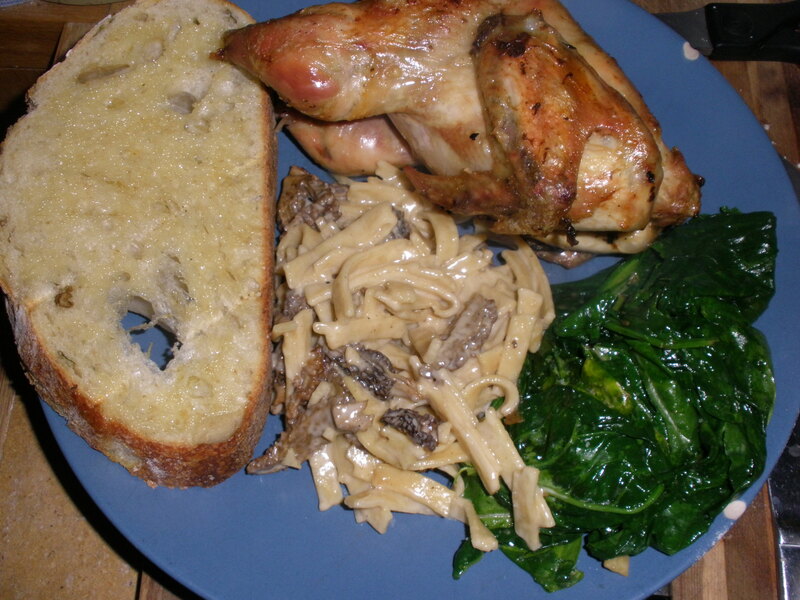 The first night I marinated a cornish hen from Olds Farm in salty cream and then roasted it in the oven and served it with the dauphinois from the refrigerator and 9 Bean Rows bread. Yum. 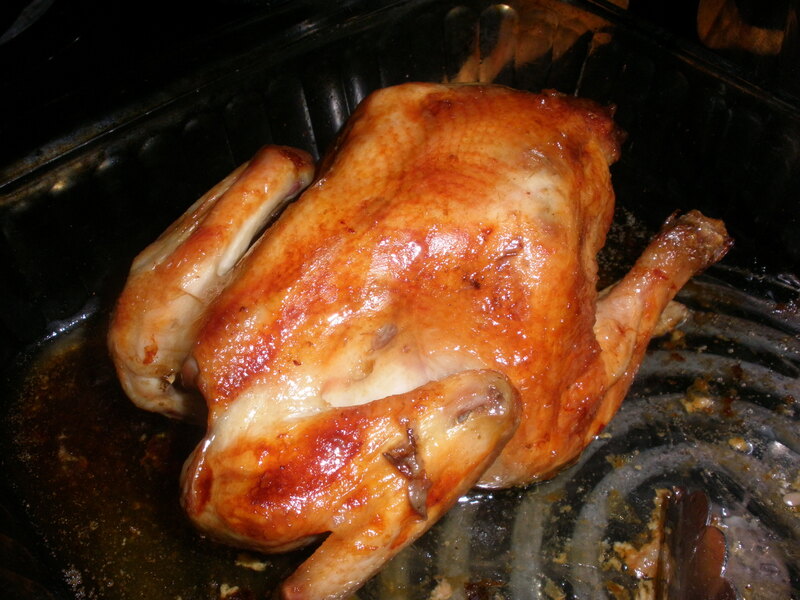 It looks like the bird is sitting directly on the burner but I promise, it is in a pan. The second night I made “slop”. It’s a family favorite. 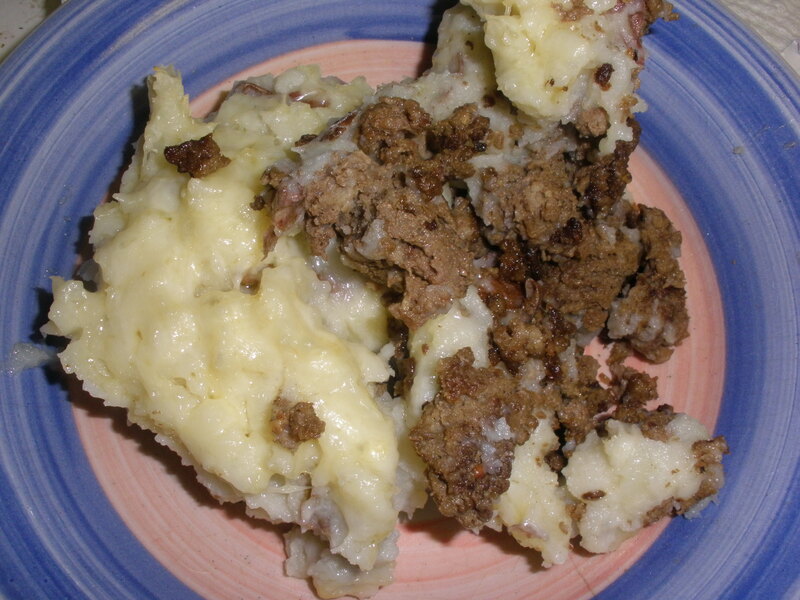 Similar to Shepherd’s Pie, slop can be made with whatever you have in the fridge. Sometimes I top meat with mashed potatoes and cheese. Other times I cover it with hash browns. My mom used to make “slop” and it’s one of the things my dear hubby will actually eat. In the old days I used a can of cream of mushroom soup. Now I do it a little differently. I sautéed one of the onions from my garden and added two pounds of ground beef that I got from my friend Richard at the indoor market. 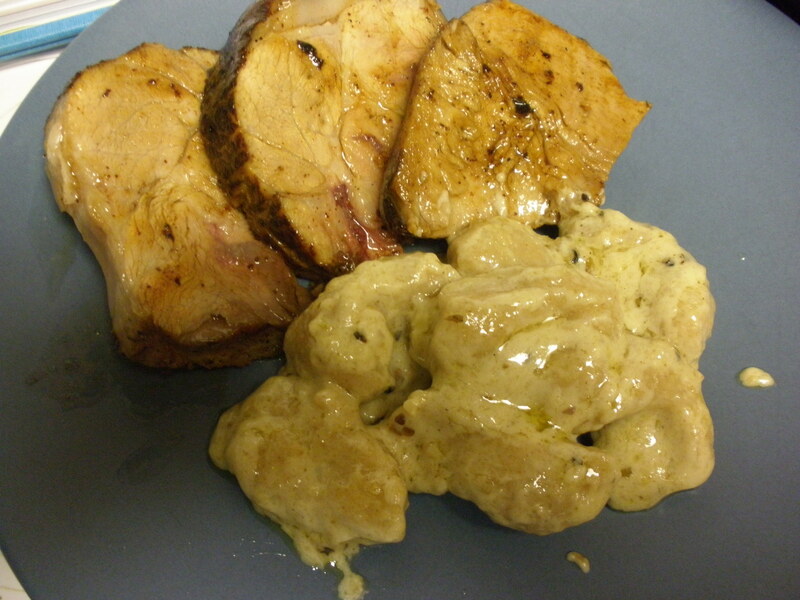 I sprinkled local spelt flour over the meat, sautéed it for another minute and then dumped the rest of the salty cream into it to make a “gravy” of sorts. 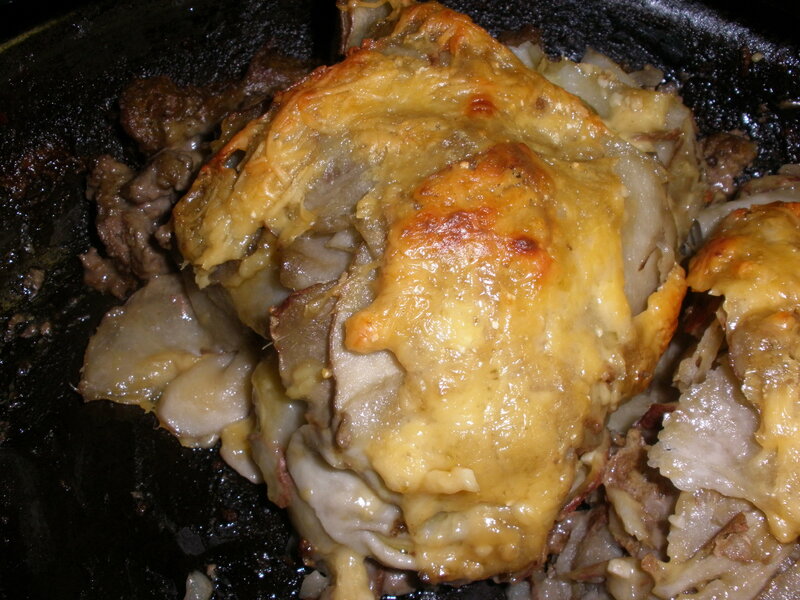 Then I pulled one of the pans of dauphinoise out of the freezer, thawed it and topped the ground beef with it. I put the whole thing into the oven and baked it until the potatoes were warmed through. It was yummy. Last year was the first year that I participated in the (not so) Urban Hennery’s Dark Days Challenge. What is a Dark Days Challenge? For the last four years, Laura at the (not so) Urban Hennery has been challenging her readers to join her in preparing and eating a SOLE (sustainable, organic, local, ethical) meal at least once a week during the most difficult time of the year; winter. She’s trying to prove that eating well from your own watershed can be done year round. Eating local foods that have been raised in a sustainable (and humane) manner is a lot easier than it sounds~ even in the winter. If you haven’t canned or preserved produce from the summer, the challenge may be a little more difficult, but even without a larder full of canned goods, eating locally through the Dark Days of Winter is possible. Find a Farmers’ Market near you. You’d be surprised how many winter markets are popping up all over the country. Can’t find a market? Find a farmer. Many store produce through the winter even if they don’t have a venue to sell it. Local bakeries are easy to find and many communities have small dairies that sell at least milk if not yogurt and cheese. Even without connections to local markets or the farming community, you’d be surprised what you can find at your grocery store. Check out the produce department. Instead of buying December asparagus from South America, choose a winter vegetable like squash. Many groceries are beginning to carry local produce when it is in season and announce that fact on signs and tags. Even if you can’t find everything you want from a local source you could try a recipe or two when you find a local product. If you need inspiration, check my Dark Days ’09-’10 Page to find the archive of last years’ recipes. This year’s challenge runs from December 1, 2010 – April 15, 2011. Check back each week to see what’s cookin’! Maybe you really aren’t in a position to play along; you can still follow the challenge and get some ideas. There’s always next year! Spring has officially been here for twelve days now, but the Dark Days Challenge didn’t culminate until yesterday. It seems as if Michigan wanted to end the Dark Days Challenge with an exclamation point rather than a period. Seventy degrees and sunny the last day of March? This isn’t spring, it’s summer but I’m not complaining. I wanted my Dark Days to go out with a bang too. The grill had its inaugural run Tuesday but it seemed fitting on such a lovely day to stay mostly out of the kitchen. This menu screams, “summer” and practically wrote itself: Buffalo, corn on the cob, redskin potatoes, tossed salad, grilled bread and strawberry shortcake with homemade ice cream. The vinegar and oil weren’t local, but everything else was. The grilled bread is something I make almost every day all summer long. Dylan wanted me to make it Tuesday but it is a leavened bread and couldn’t be made on short notice. The original recipe comes from “The Barbecue! Bible” but I modified it. Combine yeast, 1 T. honey and 1/4 C. warm water in mixing bowl. Let stand ten minutes until foamy. Stir in the remaining honey, remaining water, the egg, milk and salt. Add 4 cups of flour and mix until dough is soft but not sticky. Knead in the mixer 4-5 minutes adding flour as necessary. Use half the oil to grease a large bowl. Put dough in greased bowl, drizzle with remaining oil and cover with a damp cloth. 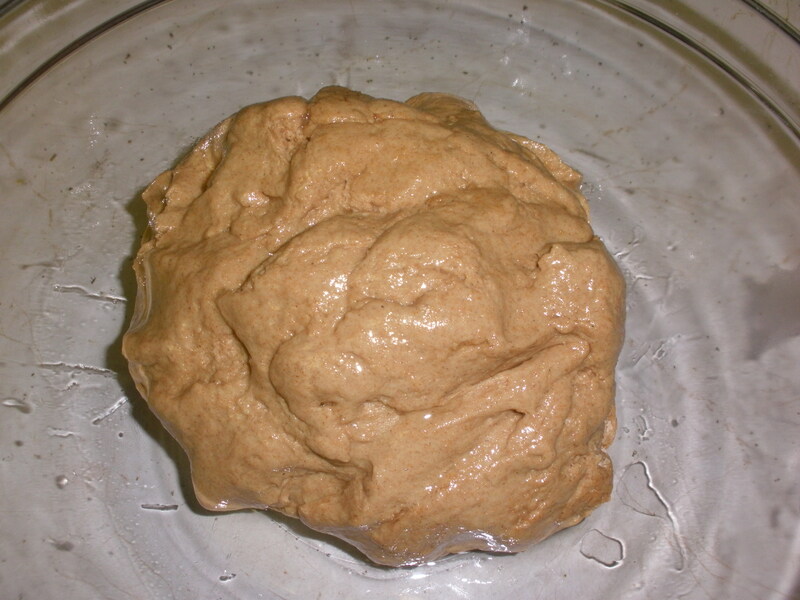 The dough ready to rise. Let rise in a warm place until double. Punch down the dough and pinch off two-inch pieces. Roll the pieces into balls and place on a floured sheet or plate. 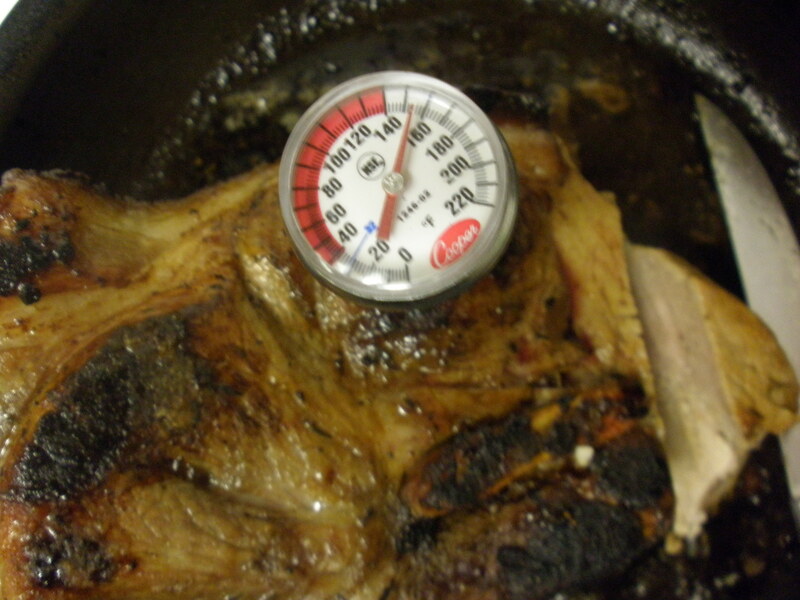 Recover with a damp towel and let rise until puffy: about 30 minutes. Preheat the grill on high. Use a rolling-pin to roll each ball on a floured board. I oil and salt the rolled balls before placing them directly on the grill. Flip them when they start to bubble. They are done when browned on both sides. The Grand Finale of my Dark Days Challenge. Dessert was a true tribute to summer. 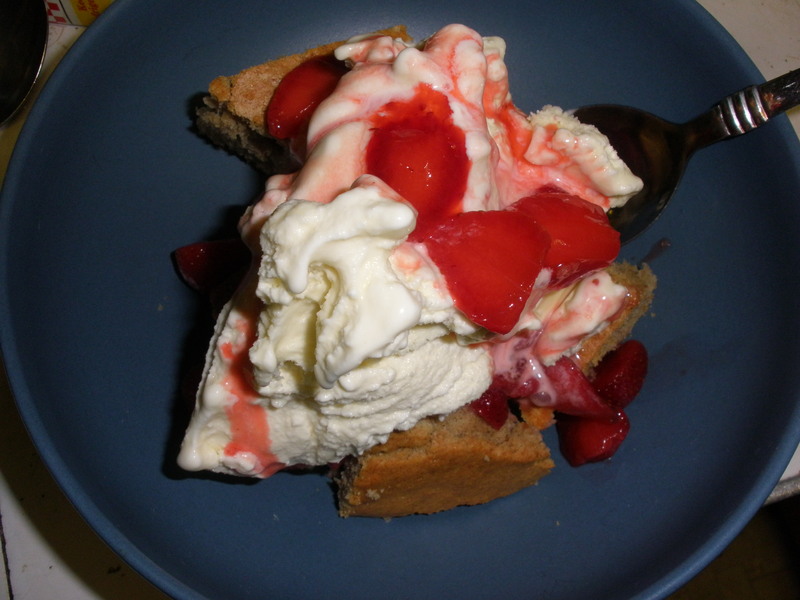 Spelt shortcake with berries from the freezer and homemade vanilla ice cream with Shetler’s milk and cream. Yum! Spelt shortcake, local berries and homemade vanilla ice cream. It was so yummy that I let the kids eat leftover shortcake and berries for breakfast today. Sans ice cream of course. Well, the true “Dark Days” are officially over with the arrival of spring, but the other challenge participants and I are playing along for the rest of the month. This week I made one of my husband’s favorites, a modified Shepherd’s Pie. I had loads of local onion leaves left from processing all the onions for the Can Jam challenge last week, so I started by chopping the scallion-y leaves into a skillet with a drizzle of olive oil. I added a couple of cloves of crushed garlic from Providence Farms, a pound of ground beef from Olds’ Farm, a little salt & pepper and sauteed the whole mixture until the meat was cooked through. Meanwhile in a pot of boiling salted water, I cooked four or five redskin potatoes from Westmaas Farms. 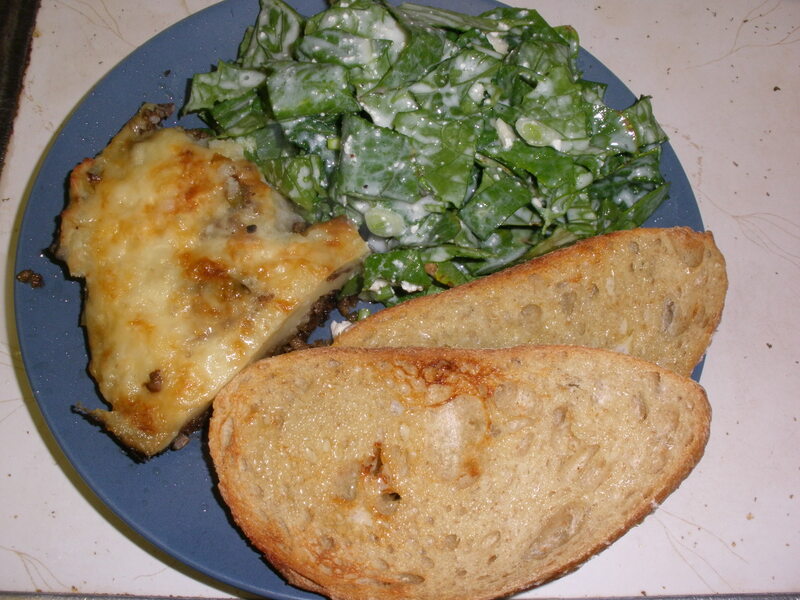 When the potatoes were cooked fully I mashed them, skins and all, with some homemade feta cheese. Drain the extra fat from the cooked ground beef. Scoop the feta-mashed potatoes out of their pan and spread them onto the beef. To make the whole mess extra tasty, grate some Black Star Farms Raclette on top before baking. 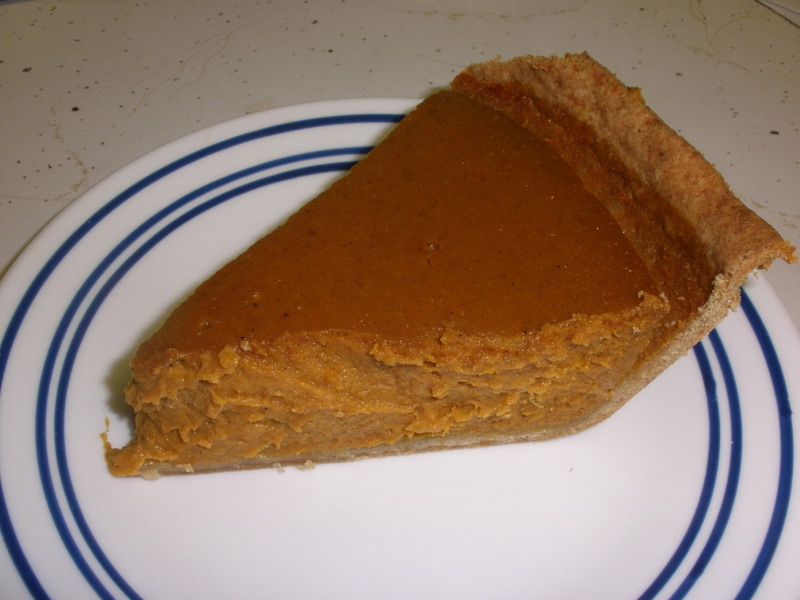 Everything is fully cooked so you only need to bake the pie long enough for it to become golden and delicious. Or, you can preassemble pies and bake them another day when you need a quick meal and don’t have time to cook. I love this dinner because it is simple, I almost always have all the ingredients I need for it in the house, and everyone in the family will eat some variation of it. Sometimes I add corn kernels or other veggies to the ground beef, but it is good without them. To round out our meal I made a salad with local romaine lettuce, more onion greens and the yogurt-feta dressing I made last week but didn’t eat because I was out of lettuce. Last Saturday was “Shop Your Community Day” so while I was wandering around the Commons after my trip to the Farmers’ Market, I popped in to Pleasanton Bread and picked up a loaf of their wood-fired brick oven whole wheat bread. It was delicious toasted with this simple meal. A wintry meal for a spring day. It seems like the closer we get to the end of the challenge, the more local food we eat around here. I guess that’s the point, isn’t it? To teach yourself a new way of eating by establishing better habits? Cooking habits, shopping habits, thinking habits. How many times do you have to do something a new way before you have unlearned the old way? I know that it’s more than 18, but over the last eighteen weeks I’ve made more than just “Challenge” dinners that were local so I have to be getting close. Cooking locally has become a habit for me. It takes longer than popping a red box of frozen lasagna or Salisbury steak out of the freezer and baking it. It takes way longer than running through the drive through of a burger joint. It isn’t always easy to cook dinner with a local ingredients, especially when you’ve been working all day or the kids have soccer practice or ballet or whatever other thing your kids may have scheduled. It takes planning because you can’t just run to the Farmers’ Market at 6:00 Tuesday night when you realize you’re out of veggies and pick up whatever you want. And I’ll admit, we eat take out pizza sometimes, but not as much as we used to. I’ll also confess to some not homemade frozen things in my freezer and “instant” things in the pantry but those are the exception around here, not the rule. As time goes on those things go into the cart less and less. So, what did I come up with this week? Dried morel mushrooms from last year's harvest. After soaking in boiling water. In a pan I made a spelt flour roux and then added three cloves of Providence Farms garlic, the mushroom rehydrating water, the mushrooms and a pint of Shetler’s half and half. 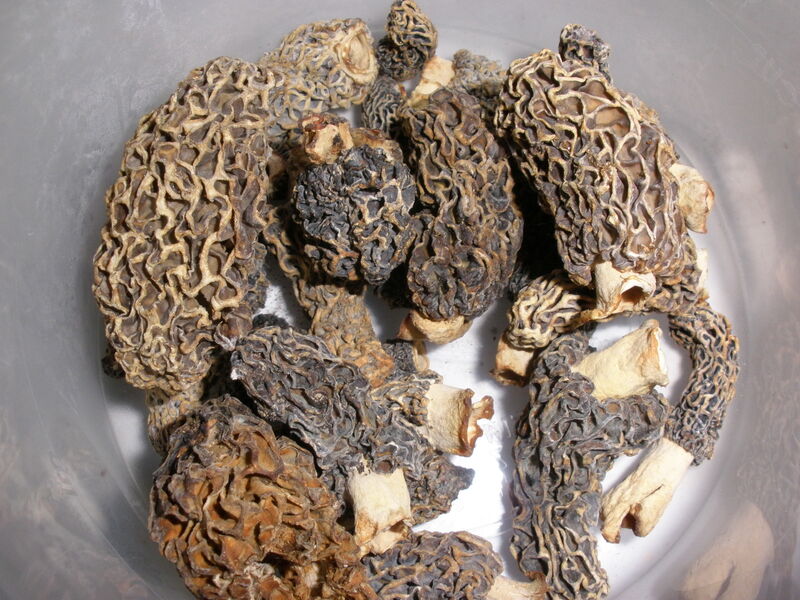 This makes a delicious morel cream sauce. I didn’t add any other herbs because I didn’t want to overpower the mushrooms, but I did add salt and pepper. I boiled a half pound of locally made egg noodles to serve as a base for the morel cream sauce. I had talked myself into grilling the Olds’ Farm Cornish hens in true spring fashion and then talked myself out of it in the sake of time and baked them instead. When I started contemplating morels I started craving asparagus. However, asparagus hasn’t been fooled by the false spring we’re having so there isn’t any unless you’re willing to buy it from South America or Mexico. Maybe it’s coming from a little closer now, but I don’t care; I can wait until local asparagus arrives so that I can gorge myself on it until it disappears again. Instead I had to settle for the pound of locally grown spinach I found at Oryana. The pasta in the center of the plate was the real entree! 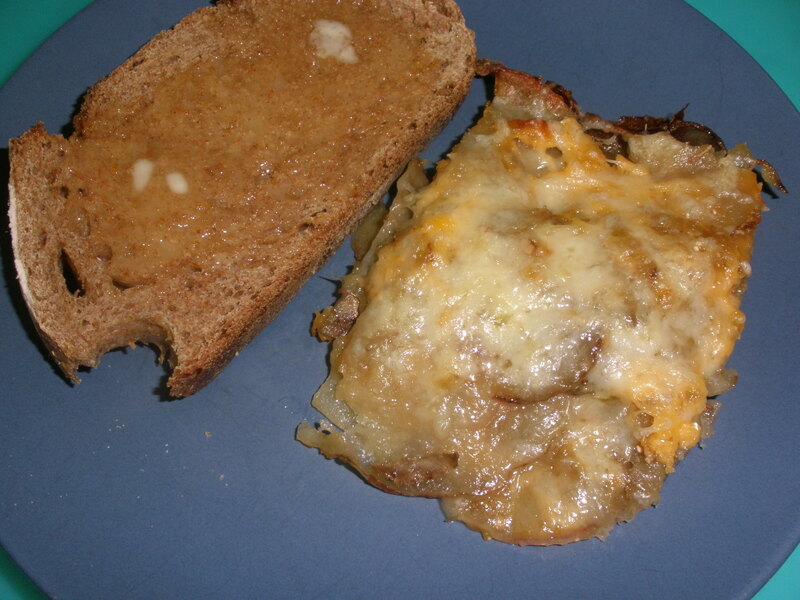 As a treat, dinner was served with a loaf of potato-rosemary bread from Stonehouse bakery. Oh, and remember when I said, “It takes planning because you can’t just run to the Farmers’ Market at 6:00 Tuesday night when you realize you’re out of veggies and pick up whatever you want.” I had planned to serve salad with this dinner. I even made my old standby garlic-feta-yogurt dressing before I realized I had already eaten the head of romaine lettuce that I thought was in the refrigerator. So, guess what? No salad. It didn’t matter. There was too much food anyway; we ate this dinner twice this week.